The 76ers (4-33) continue their season-long six-game homestand on Thursday, hosting the Atlanta Hawks (21-15) at 7:00 PM EST at The Center. Having prevailed in three of their past six outings, the Sixers will again try to string together consecutive victories for the first time since the middle of last March. Atlanta will be looking to bounce back from being swept in a home-and-home series with the New York Knicks that was held on Sunday and Tuesday. Appearing in South Philadelphia on Monday for the first time in nearly two weeks, the Sixers paired up with the Minnesota Timberwolves, marking this season’s home debut for Ish Smith, who rejoined the team during its Western Conference road trip. Smith didn’t disappoint, helping the Sixers close-out the Wolves, 109-99, by scoring eight of his team-best 21 points in the fourth quarter. The sixth-year point guard earned a double-double by distributing 11 assists. Carl Landry, another veteran, canned 16 points off the bench. He and rookie forward Richaun Holmes, who tallied 17 points, combined for more than half of the Sixers’ 61 bench points. Before facing New York its past two outings, Atlanta had been on a roll, winning seven times in eight contests. This successful spurt was fueled by a six-game winning streak. 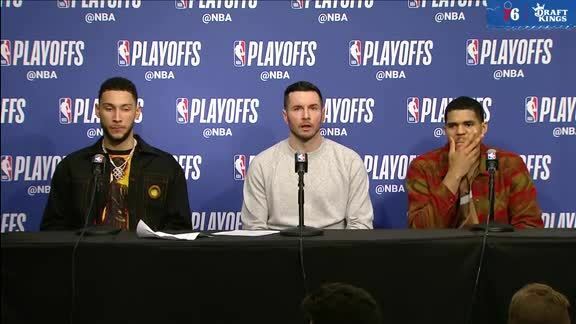 Last year, the Hawks proved to be one of the NBA’s best offensive and defensive teams, en route to earning the Eastern Conference’s number one playoff seed. While Atlanta again boasts a top-10 rated offense this campaign, its defense has taken a hit. The Hawks generated the sixth-best defensive rating in the league a season ago, but now currently rank 14th overall. Atlanta has surrendered at least 100 points in three consecutive games, a stretch in which it has also spotted each of its opponents a field goal percentage of at least 47.5 percent. Paul Millsap leads the Hawks in both scoring, posting 18.3 points per game, and rebounding, with an average of 8.8 boards. In the first meeting of these two teams back on December 16th, the Hawks defeated the Sixers, 127-106, racking up their highest point total to-date. Atlanta also shot a season-best 61.5 percent from the floor, while converting 10 of 21 three-point attempts. The Hawks’ frontcourt tandem of Paul Millsap and Al Horford combined for 38 points. Isaiah Canaan burst for a game-best 24 points, hitting six of eight three-point tries. Jahlil Okafor held his own, with 19 points (7-12 fg) and seven rebounds. Atlanta has bested the Sixers in eight of their previous nine match-ups. Despite having less than 36 hours to get their bodies readjusted to local time upon returning from a five-game Western Conference road trip, the Sixers proved to be the more intense, determined team on Monday, when they beat the Minnesota Timberwolves, 109-99, at The Center. The victory was the Sixers’ third in their last six games. With two days separating the Sixers’ win over Minnesota and Thursday’s tilt versus the Atlanta Hawks, Brett Brown felt the timing was right to give the club a breather on Tuesday. “We’ve learned that that is a good day to take off, and give our guys a new jolt, some fresh legs,” said Brown. When the Sixers regrouped for practice on Wednesday at the Philadelphia College of Osteopathic Medicine, the head coach didn’t detect any drop-off in energy. He pointed that observation out to Elton Brand, who inked a free agent contract with the Sixers on Monday. 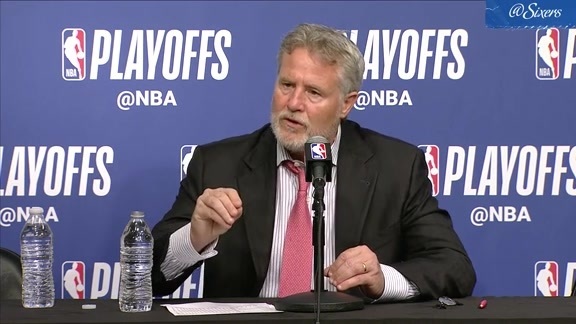 Prior to the Sixers acquiring Ish Smith and reinstalling him as their starting point guard, Brett Brown frequently spoke about his team’s need to get into its offense more quickly relative to the NBA’s 24-second shot-clock. Since Smith’s return, this dynamic has shifted. 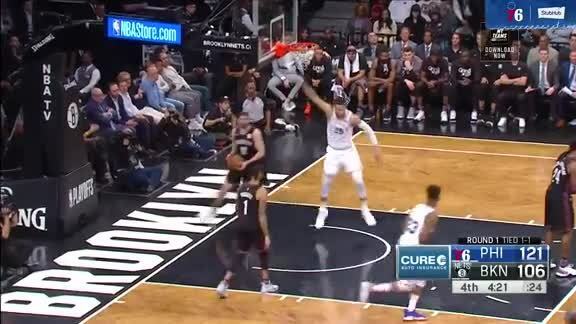 According to stats.nba.com, in the Sixers’ first 31 contests of the season, all of which were played without Ish Smith, 33.6 percent of their shots were taken with seven seconds or less remaining on the shot clock. By comparison, with Smith back in the mix over the last six games, only 21.6 percent of the Sixers’ field goal tries per game have come with seven seconds or less on the possession timer. Brown believes the pace Smith sets has been pivotal to the Sixers’ improvement on offense. The other end of the court, though, is where the head coach thinks Smith has more room to grow. Before heading into what he thought was going to be a permanent retirement, Elton Brand logged his previous two campaigns in Atlanta with the Hawks. From his first to second seasons with the club, he witnessed Atlanta make a dramatic improvement, as the Hawks went from 38-win Eastern Conference eighth-seed, to franchise-record-setting 60-win Eastern Conference one-seed. During that time, Al Horford, Kyle Korver, Paul Millsap, and Jeff Teague all received All-Star bids. Brand, now back with the Sixers, discussed his stint with Atlanta. Brand appeared in 109 regular season contests for Atlanta, averaging 4.7 points and 4.2 rebounds in 17.4 minutes per game. He does not expect to be in uniform on Thursday for the Sixers, when they square off with one of his four former squads.